This Aquatica Ceiling Mounted Shower Arm has been constructed for the idealist who seeks elegance in design. 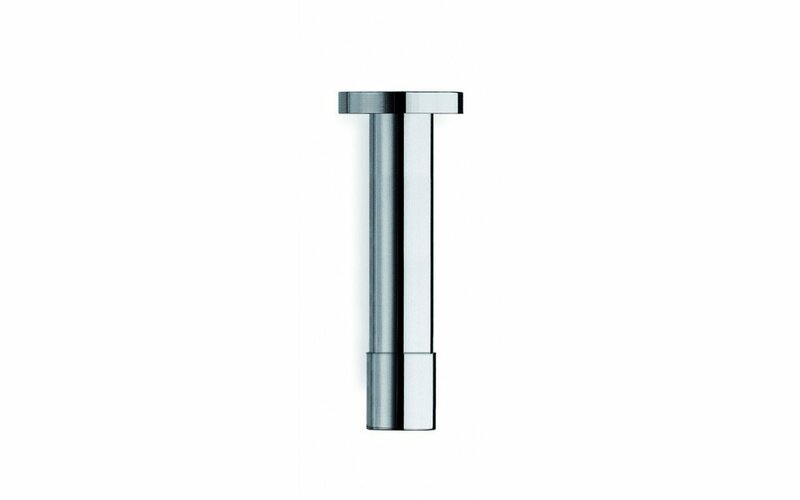 Modern and sleek, this shower arm has a 5 year warranty and guarantees showerhead durability due to its integrated water filter, which also features a cover plate with a bracket kit and filter. The featured pipe, which is wider than usual (1.18in Ø / 30 mm), will guarantee a high flow rate, yet meet the demands of an eco-friendly lifestyle. Constructed from solid brass, and finished off in chrome, this 14” (35 cm) Aquatica Ceiling Mounted Shower Arm is also available in white matte and black matte and can be purchased in 3 different lengths, from 6”, 10”, 14” (15 / 25 / 35 cm). Feature cover-plate with bracket kit and a filter.